Tinkers Complement is designed to add features to Tinkers Construct in a non-intrusive way. It aims to provide mod compatibility and features to help with modpacks. This mod still has a few larger features planned, but for now the features are as follows. 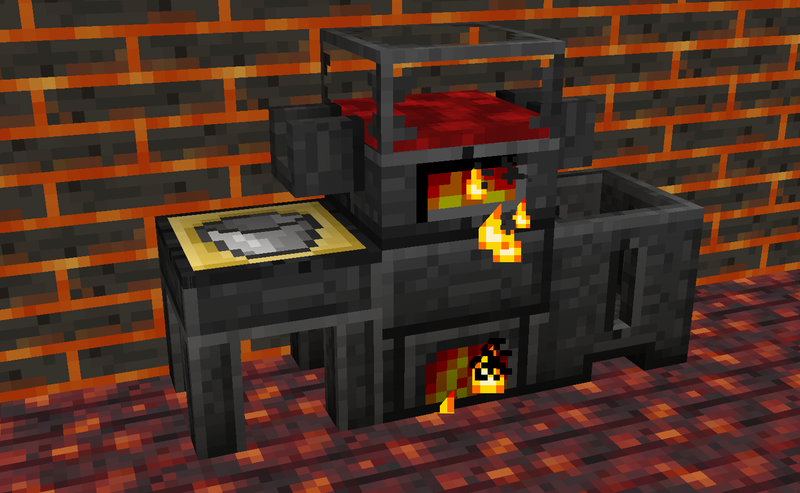 The melter is a new block that works similarly to the smeltery. Like the smeltery, it can melt down ores and ingots into molten metals that can then be used for casting. Unlike the smeltery, it does not double ores and can only hold one liquid at a time, preventing alloying. The melter can be fueled using a lava tank, or using a new block known as a heater to run off furnace fuels at a lower temperature. 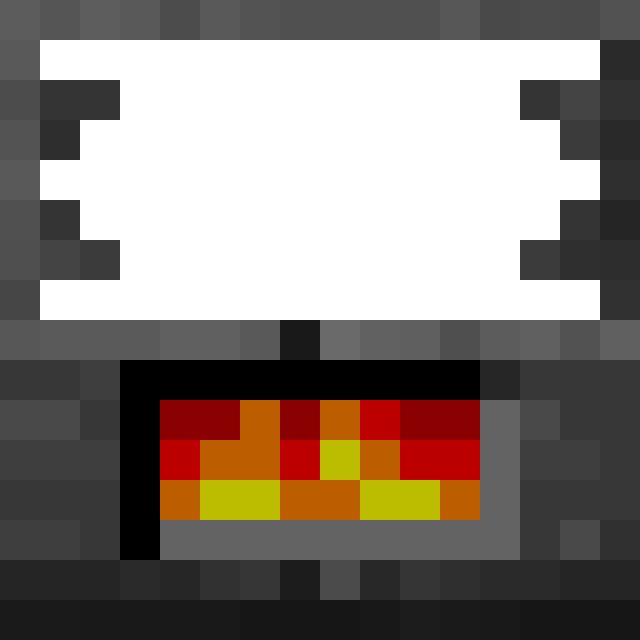 Both the melter and the heater are designed for early game or to alloy modpack makers to more finely tune Tinkers Construct progression. Another smeltery progression feature is the bucket cast. 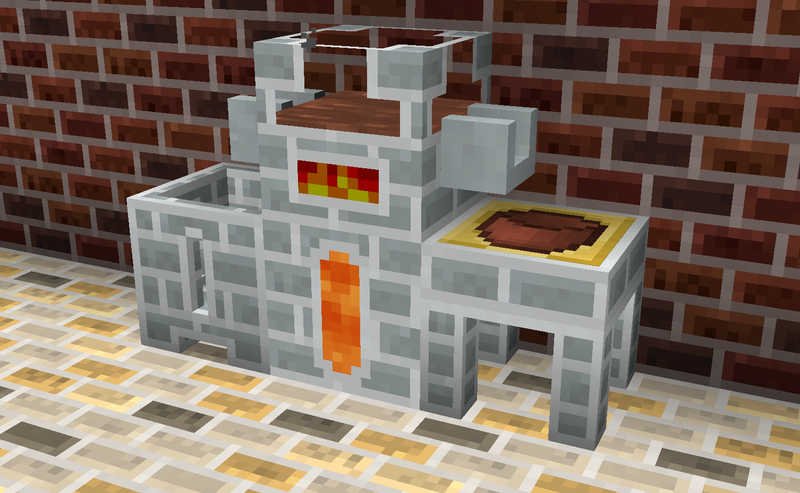 While in most packs it is just convenience, it can also be used to gate bucket crafting behind the melter or smeltery. The alloy tank is a new block used to make Tinkers Construct alloys. The alloy tank is designed to be easier to automate than a smeltery and provide an option for gating alloying at the cost of the extra fuel consumption. In order to alloy, the tank must have a heater placed below to provide fuel. It can have up to five seared tanks or melters placed on the remaining sides as fluid sources. Additionally, the alloy tank can be disabled by powering it with redstone. If Ceramics is installed, Tinkers Complement adds in porcelain versions of the melter, casting table, casting basin, heater, tanks, and alloy tanks to complement Ceramics' porcelain faucets and channels. This works as a decorative alternative to the seared blocks, and can allow modpacks to gate seared bricks without limiting access to melting. Manyullyn armor is more defensive than diamond armor, but has lower durability. It is a top tier armor requiring access to the Nether to craft. KnightSlime armor allows the player to bounce like when wearing slime boots. It is between iron and diamond in protection, and causes the player to bounce more in all directions. If Chisel is loaded, a Tinkers Construct version of the chisel is added. It can be modified to increase durability and increase the in world chiseling width and height. If Ex Nihilo is loaded, the sledge hammer is added as a method to perform Ex Nihilo hammer recipes. All mining modifiers are applicable to the sledge hammer, though some like a silky jewel are not very practical. Feel free to use to use this mod in a mod pack, provided you link back to this page somewhere in the description (if distributing though CurseForge it automatically links mod dependencies). For more information, come discuss the mod on the SlimeKnights discord. I cannot figure out how to use this alloy tank, how do you get molten byproduct in them to alloy them? in your photo it shows ardite and cobalt on the side of manyullyn but doesn't show how to get molten ardite or cobalt in the tank. i've tried casting channels, buckets etc. EDIT: of course I figure it out after I post. So you need 2 or more seared windows surrounding a alloy tank, use a casting table with a bucket to get moltel fluid into the tanks and then it'll alloy automatically and u use a channel and casting table w/ bucket or ingot cast etc to get what you need. I'll leave my original post in case others are having the issue. It seems that I cannot get the alloy tank to work between two melters. They all have full tanks below them providing fuel, and a faucet pointing out, yet no metal is appearing in the tank. what am I doing wrong? Did you place a heater with fuel below the allow tank, or are you using a seared tank? In the current release alloy tanks only work with heaters for fuel, but its something I'm looking into changing. ①A config option to disable TComplement's charcoal block,because other mods(Quark,mekanism,thermal series)have their own charcoal blocks. I do not get the reference at all. I do not see how this is is a needed improvement, even if I am not yet fully happy with the color. Emmm_(:з)∠)_,my apologies,but thank you for your reply. Hey, you should consider adding support for mod fuels. IE, Fire Water. There is already full support for modded fuels, the heater just uses furnace fuels and the melter uses the smeltery fuel registry. Wouldn't take a fire water bucket or tank though, unless it needs to be piped into the heater itself? Does firewater work as a smeltery fuel? Turned out to be an issue with the crafttweaker code I had, apologies. I am having issues figuring out how to pipe liquids into a melter though. Tried casting faucets and faucets, ender fluid conduits and IE fluid pipes to no joy. Feel free to port it yourself. I barely have time to maintain my mods on 1.12. No idea what issue you are having, it shows up in JEI just fine for me. Its crafted using two faucets on either side of a seared tank. you know what, my bad, i thought i had the latest version installed, turns out, i did not. On Project Ozone 3 there seems to be no way to craft a stone bucket to make a cast.